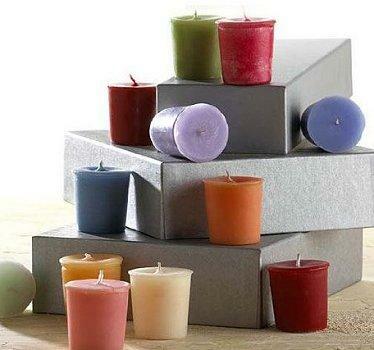 Names of candle companies vary a great deal and are based on a variety of factors. Many have become common household names. Using the first and/or last name of the founder of the company. Including words that describe the candles themselves, or the ingredients used to make them. For example, the word "earth" in a company name suggests natural materials. Using the location of the company by including a state, city, or neighborhood name. Other geographical titles may be used as well, such as bodies of water or local natural landmarks. Creating whimsical or humorous plays on words, including intentional misspellings and common phrases with a twist. Including seemingly random yet catchy words, suggesting a hip and modern company with new and exclusive products. 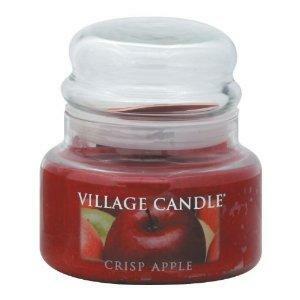 The candle industry is like any other in that there are several big players whose products are recognizable anywhere. Most of these manufacturers sell products in their own stores as well as department stores and gift shops, and they also maintain an online presence allowing customers to make purchases from home. If you've ever browsed for candles you've likely noticed that there are countless companies that manufacture them. In addition to the large companies there are hundreds of smaller candle makers, including home-based businesses, with trademarked names. While it's nearly impossible to cover all of the names of candle companies in a list, here are many that you might recognize. These candle companies rely on independent contractors to sell their merchandise through home parties and events. Many of them sell other products as well, including home fragrance items and household décor. These companies make candles that are a little fancier and therefore more expensive. They can be found in upscale department stores and specialty shops. If you've decided to start your own candle company, choosing a name is a very important step. Not only do you want it to be easy and memorable, but you'll also want to make sure that no one else is using it. Even a name as simple as "Jane's Candles" could be taken, so make a list of several different options that appeal to you. Once you've chosen a name, visit the United States Patent and Trademark Office online to make sure that it hasn't already been claimed. You can also get all the information you need to trademark your unique candle business name. Another thing to consider is that you'll likely want to create a website to accompany your candle business. The best website name will be that of your company followed by a dot com, and domain name searches such as GoDaddy will tell you if your name has been taken. Be very careful not to duplicate or closely resemble an existing company name, or you run the risk of being sued by the original company. Candle company names can give customers a sense of what to expect from their products. From quaint names that suggest homespun quality and handmade products to elaborate names that give the impression of pricey spa items, there are as many different company names are there are types and scents of candles.